Quality of care and quality of life for long-term residents are two closely linked domains that need to be addressed in nursing homes. Quality of care in nursing homes is a multidimensional concept [3, 6], including both the technical aspects of care, leading to improved health outcomes for the residents , and the interpersonal interaction between residents and nurses . Interpersonal skills are part of the nurse’s professional competence, and are regarded as fundamental for providing person-centred care . Care that is person-centred can improve the resident’s quality of life, and involves knowing the resident and adequately addressing the person’s individual needs [10, 11, 12]. Since more than 80% of residents living in Norwegian nursing homes have a diagnosis of moderate to severe dementia , and as many as 90% of people living with dementia demonstrate at least one NPS during the course of their disease [14, 15], quality of care and quality of life for these residents represent major challenges to the staff. The aetiology of NPS is mostly unknown, but factors such as neuropathological changes in the brain, unmet psychosocial needs and physical health problems are thought to have an impact [16, 17]. Pain, infections, dehydration, constipation and incontinence are common health problems associated with NPS. Some of these factors relate to the quality of care and are therefore modifiable [18, 19]. Non-pharmacological interventions, i.e. psychosocial interventions should be used as the first-line treatment for the management of NPS in people with a diagnosis of dementia [5, 20]. In addition, person-centred care and individualised interventions aimed at modifying NPS and thereby maintaining quality of life are recommended [12, 16, 21]. All possible causes of NPS should be assessed in order to implement person-centred and individualised interventions that improves the resident’s quality of life [22, 23]. Implementing change in nursing home practice is challenging, and it has been demonstrated that the provision of care based on best evidence in the care of older adults, especially in nursing home settings, is low [32, 33]. This might be explained by a lack of understanding about the complexity of nursing home care, and lack of awareness of the link between the individual nurse’s practice and organisational factors [34, 35, 36]. Improvements in care practices based on learning involves adjusting individuals’ attitudes and behaviours, however, for learning to become organisational, new insights must become distributed among the organisation’s members as shared understandings or shared mental images . Implementing and sustaining change means that the new practice is integrated into routine nursing home care . A range of implementation strategies are needed to succeed. It involves, among others, spread of research and guidelines on for instance CGA to nursing homes in general, and active, targeted interventions in each nursing home . Implementation science focuses on challenges associated with the uptake of evidence into practice to improve quality of care . 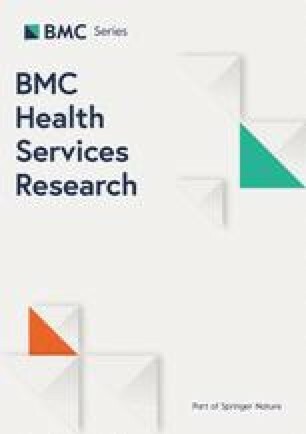 There is a considerable body of knowledge on how to change health care personnel’s behaviours in general [40, 41, 42], but implementation research in nursing homes is still lacking. Various implementation activities are recommended , but active approaches and multi-dimensional interventions are more effective than passive approaches and single interventions [33, 44]. In addition, implementing new practices should be guided by evaluating potential enablers and barriers for the change when planning the implementation strategy [40, 44]. The present study is part of a larger study on quality improvements in nursing homes (see for example publications [45, 46, 47, 48, 49]) connected to the university’s priority research area ‘Ageing and older people’s health’ (https://www.ntnu.no/ism/aldring#/view/about). One part of the larger study was a c-RCT, testing an intervention involving CGA and regularly case conferencing based on these assessments and group discussions (for details, see registration at ClinicalTrial.gov - NCT 02790372, results will be reported elsewhere). Eight nursing homes in Mid-Norway, including 159 residents (all > 65 years), were randomly selected to the intervention. The nursing home management and RNs in the intervention nursing homes received training to perform assessments and the case conferences (see Table 1 for details), and then included all nursing staff in their units. Nine control nursing homes (150 residents) performed care as usual, and are not included in the present study. Focus group methodology is well suited to discover what influences behaviour and satisfaction with a service . Nursing staff at the eight nursing homes that performed the intervention were invited to participate in focus group interviews to share their experiences of participating in the intervention. Only nursing staff working in the clinical setting were invited to participate in the interview. The reason for not including management was to avoid power inequalities in the groups and to enable the nursing staff to voice their opinion on nursing home leadership. Staff from four nursing homes were willing to participate. Implementation strategies most often aim at changing individual staff member’s knowledge, attitudes or behaviours . However, organisational change and learning are equally important, since quality of care is not influenced by the performance of individual healthcare worker alone . Case conferencing might facilitate both organisational learning and personal development, by offering a mechanism for participants to share their knowledge in meetings, learn to use resident assessments and agree on a care plan. The intervention in the c-RCT was advanced and complex, and was originally targeted to the RNs. However, because of the high turnover of RNs and managers it was necessary to adjust the intervention to additionally target LPNs and NAs. Each nursing home is different in the way it is organised and the physical environment, therefore a key learning from the research was to support the local nurses to modify the intervention, even if some parts of the intervention requires higher competence [56, 57]. Moreover, minimising a top-down and externally led approach allows staff to adjust the components of the intervention to their local context [37, 58, 59, 60]. The present study showed that good information at the start of the trial and an understanding of the importance of performing the trial as planned enhanced commitment from the staff. However, the participants expressed that support from the leadership was also essential for success; for instance understanding from the managers on how to activate and use the nursing competence adequately to improve quality of care. In addition, the participants emphasized that all staff had to understand that the nurses needed time to use their competence. In nursing homes, barriers to implementation of care improvements include a range of factors such as lack of knowledge, staffs’ attitudes and beliefs, understaffing and weak management . To overcome such barriers, the whole organisation from institution owner (the municipalities) to the individual healthcare worker needs to be involved. Organisational change is a continuous learning process, not a one-time event [37, 40]. If all staff members and the management identify the organisation’s own problems, understand the reasons for change and feel involved in decision-making, it is more likely that the nursing home will function with shared values and improve residents’ outcomes [58, 61, 62, 63].